Dieses Produkt befindet sich bereits in Ihrer Benachrichtigungsliste. Dieses Produkt steht nun auf Ihrer Merkliste. 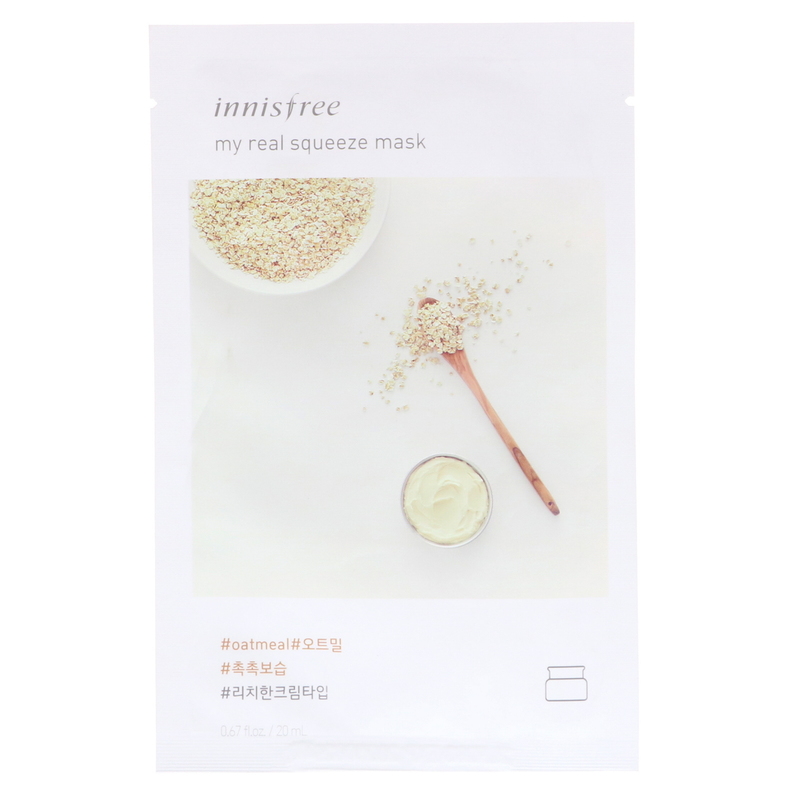 This Rich Cream-Type Real Mask, Enriched with Nutrient-Rich Oatmeal, Leaves Rough, Dry Skin Moisturized and Smooth. 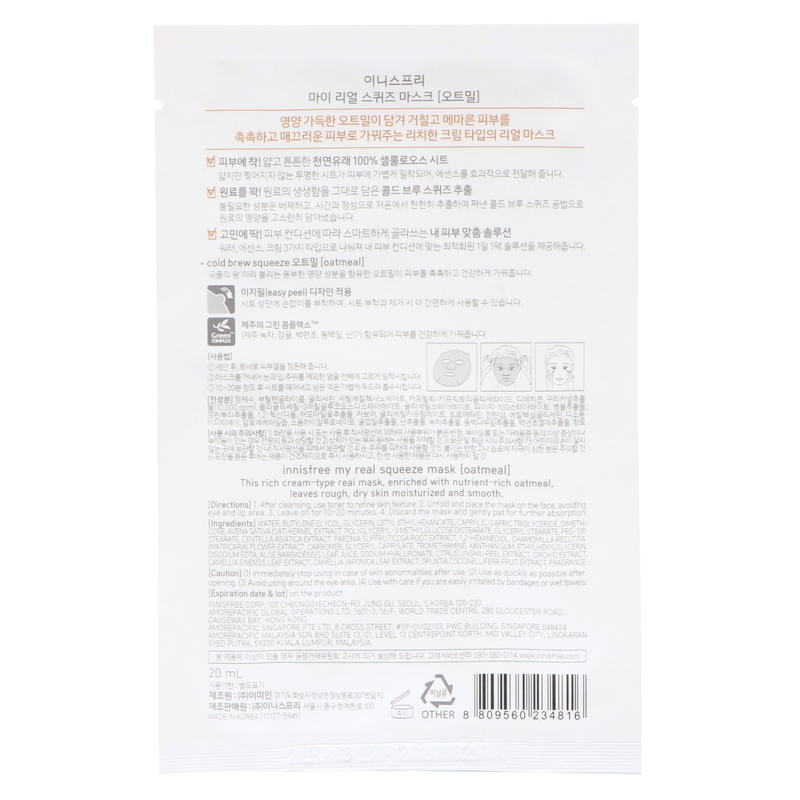 After cleansing use toner to refine skin texture. Unfold and place the mask on the face, avoiding eye and lip area. Leave on for 10-20 minutes. Discard the mask and gently pat for further absorption. Wasser, Butylenglycol, Glycerin, Cetylethylhexanoat, Capryl- / Caprintriglycerid, Dimethicon, Avena sativa (Hafer) -Kernextrakt, Polyglyceryl-3-methylglucosedistearat, Glycerylstearat, peg-100-stearat, Centella asiatica-Extrakt, Paeonia suffruticosa-Wurzelextrakt, 1, 2-Hexandiol, Chamomilla recutita (Matricaria) Blütenextrakt, Carbomer, Glycerylcaprylat, Tromethamin, Xanthangummi, Ethylhexylglycerin, Dinatrium-EDTA, Aloe Barbadensis-Blattsaft, Natriumhyaluronat, Citrus-Unshiu-Schälen-Extrakt, Orchideenextrakt, Camellia Sinensis-Blattextrakt, Camellia japonica Blattextrakt, Opuntia Coccinellifera Fruchtextrakt, Duftstoff. Use with care if you are easily irritated by bandages or wet towels.